Like almost everyone else on the face of the earth, I am hooked on Pinterest! I pinned this image ages ago, and just have not been able to get it out of my head. 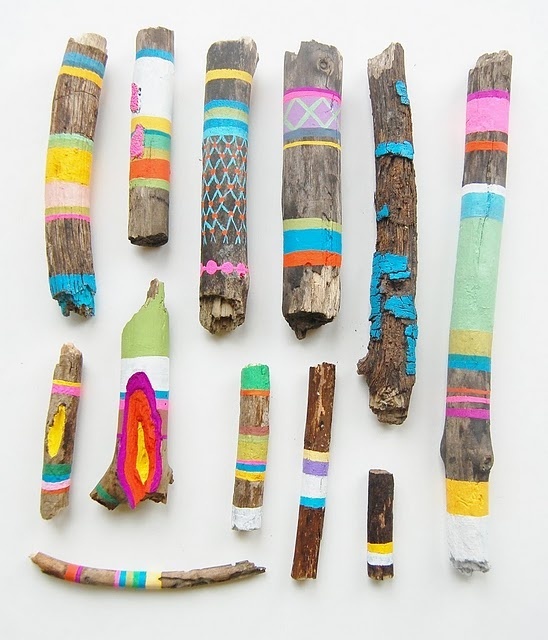 Then I found this one, and fell in love with painted sticks all over again. So, I started here, with some naked sticks from my son's "stick collection". 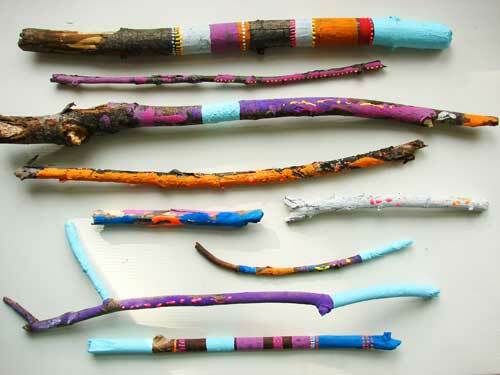 Every household had a stick collection, right? 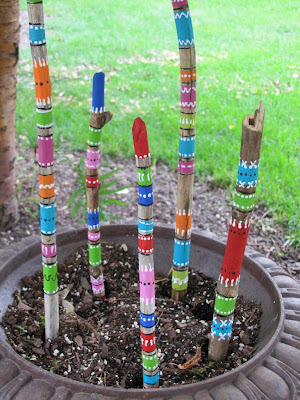 I got going with acrylic paint and some white puffy paint and before long, I had five sticks painted! I love seeing them sprouting from my shady urn for now, but I am sure they will be relocated as soon as I get my flowers planted in here.